Often, we are not able to build off the back of the home due to a roof line, or the location of windows, or the placement of a swimming pool. 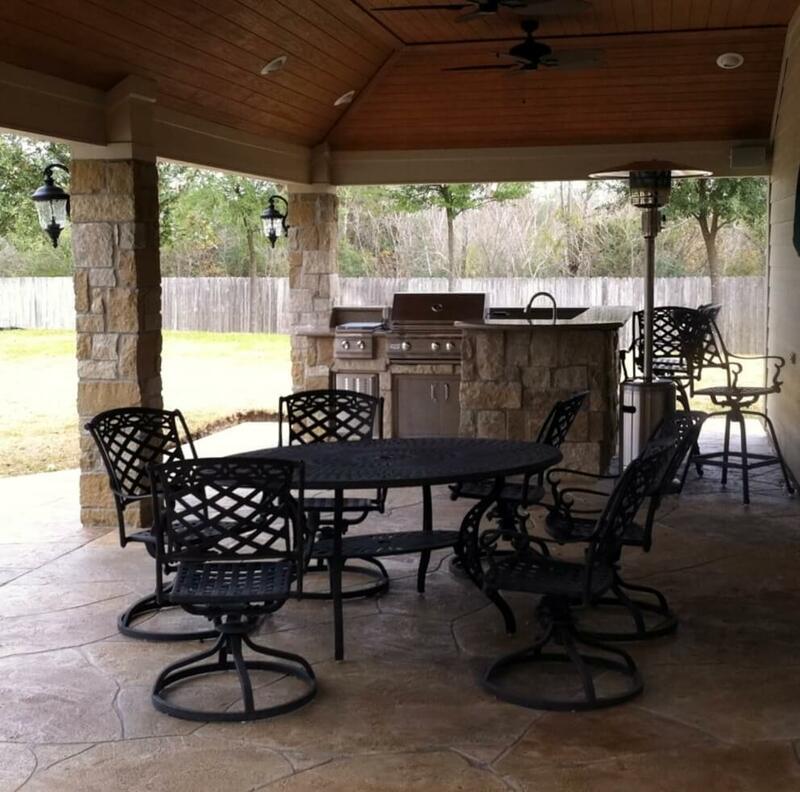 Texas Custom Patios extended the roof line of the garage and created a large covered space with a vaulted tongue & groove ceiling. The foundation was poured at a higher elevation to alleviate some drainage issues. An L-shaped kitchen was oriented to provide a view of the pool from the raised bartop. The floor was finished with a stamped concrete overlay.